President Donald Trump bears "no" responsibility in the bomb scare involving explosive devices mailed to his political opponents, Vice President Mike Pence told ABC News in an exclusive interview Friday during a campaign swing in Roswell, New Mexico. Noting that the just-captured bombing suspect apparently attended a Trump rally and that there were multiple images of Pence and the president on what authorities said was his van, and given that the president has targeted Democrats, ABC White House Correspondent Tara Palmeri asked whether the president had "some responsibility" in the incident. "No, not at all," Pence responded. "And neither did Bernie Sanders bear any responsibility when the Illinois man opened fire at a Republican baseball practice," he added, using an example Trump himself used later Friday at a rally in Charlotte, North Carolina, referring to the Independent senator from Vermont. The suspected gunman in that June 2017 shooting volunteered for his campaign, Sanders said, when condemning the incident at the time. 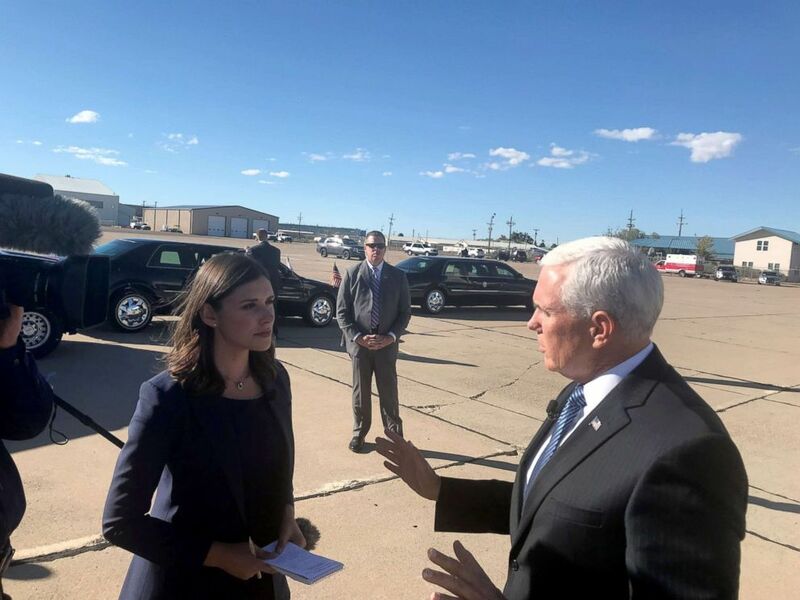 ABC News' Tara Palmeri speaks with Vice President Mike Pence in New Mexico, Oct. 26, 2018. "Look, the reality is the people responsible are the people responsible. And what the president and I stand for, and I think every American stands for, is that threats or acts of political violence from anyone, anywhere, for any reason should not be allowed," Pence said. Referring to the president last week at a rally in Montana praising a Republican congressional candidate who body slammed a reporter, and his attacks on CNN, Palmeri asked why it couldn't be said the president's rhetoric was related to the bomb scare. "Well, I mean, clearly the president was joking in Montana," Pence answered. "And I think the president and I both are frustrated from time to time with the fact that many in the media focus on the negative and don't tell the whole story of what's happening all across this country. ... And I think the president's fully within his rights to call on the media to present a more balanced picture. But look we believe in a free and independent press." "I think most Americans understand this president, they understand his heart," Pence continued. "And I really do believe that. I really do believe that people understand that those who engage in threats are acts of violence are the people that are responsible for it. But that being said, I think you will continue to hear the president call for greater unity in this country. And I think we're seeing greater unity already." "So, we won't hear the president talk about the Clintons or any of the people who were targeted?" Palmeri asked. 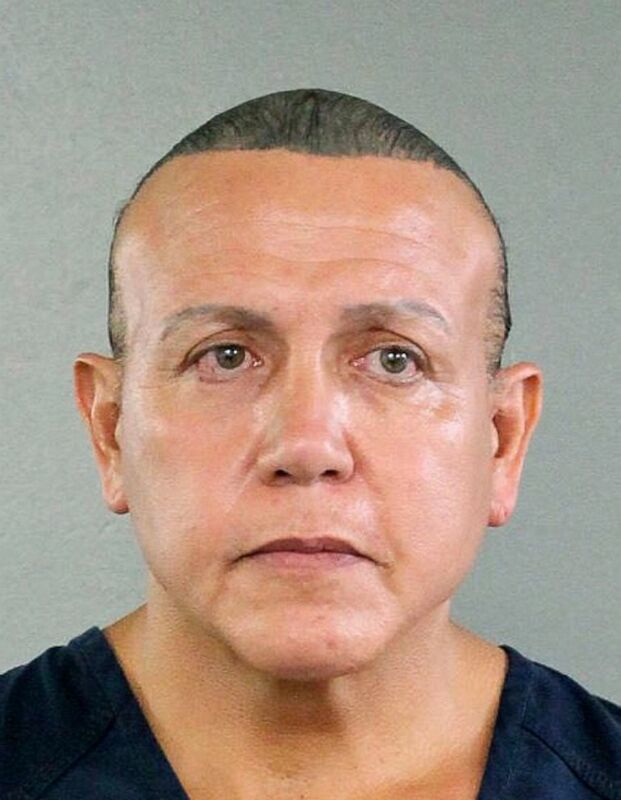 Cesar Sayoc is seen in this undated booking photo, released by the Broward County Sheriff's office and provided by the Associated Press, in Miami. "Our very freedoms allow us to have political differences and we will continue to exercise those freedoms in the political debate. But as the president made clear where we settle our differences is in the ballot box and just as it was a travesty what happened at that Republican baseball practice in June of last year that what occurred this last week with these devices that were mailed to the Obamas, to the Clintons, to CNN. It simply will not be allowed." On another issue that's come to dominate the campaign less than two weeks before the midterm elections, Palmeri asked whether the president would close the southern border in an effort to stop a caravan of thousands of migrants from Central America slowly making their way toward the U.S.
"The caravan that's making its way through Mexico today was organized by leftist organizations In Honduras and is being driven north by human traffickers, and it represents an effort to challenge the sovereignty and the territorial integrity of the United States of America, and it will not be allowed, Pence said. "They need to turn around they need to go home. But the truth is, Tara, the people that are in this caravan include many elderly many vulnerable families with young children that have been taken advantage of by human traffickers and those with a political agenda intending to try and drive a challenge to the United States immigration laws. What we need to do is secure our border. The president will take steps to do that." 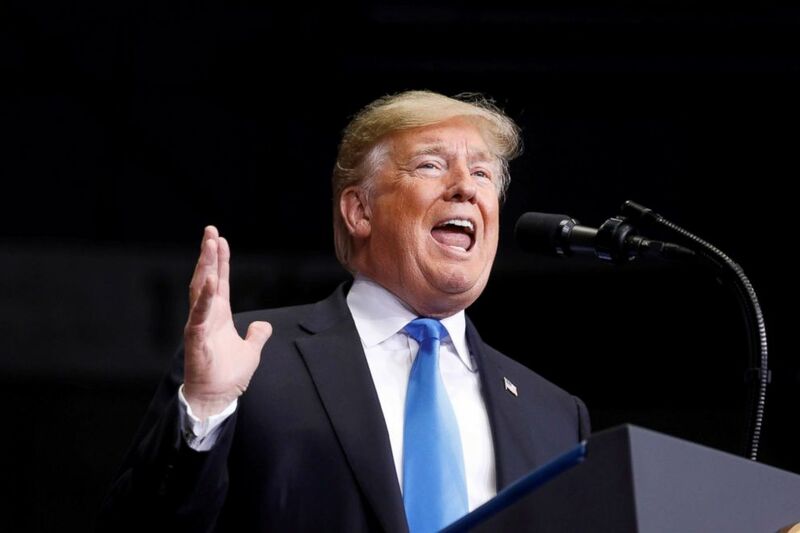 President Donald Trump speaks at a campaign rally in Charlotte, North Carolina, Oct. 26, 2018. "Will they be able to apply for asylum in the U.S. at the border?" Palmeri asked. "The laws of the United States will be in effect," Pence answered. "The president is going to take action. We're not going to allow this caravan of thousands of people to come into our country illegally." "Even if that means closing the border?" Palmeri asked. "Let me be clear: The president will make decisions that will secure the border of the United States of America," Pence responded. ABC News' Devin Dwyer and Cindy Smith contributed to this report.